This brand-new version of Ahab is based on his appearance in the Dark Horse comics. 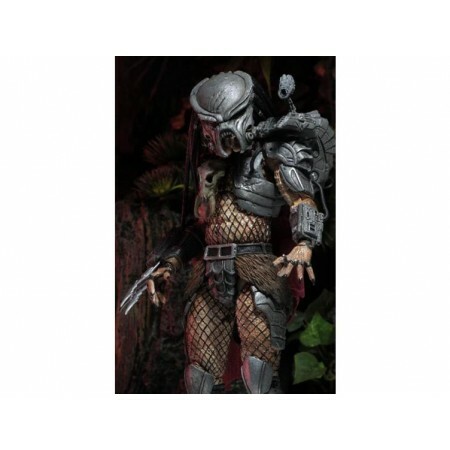 Neca has given the SDCC 2014 exclusive a massive upgrade, equipping it with the all new "Ultimate" Predator body which has added articulation in the biceps (bicep swivels), elbows (double elbow joints) and torso, plus an opening gauntlet. 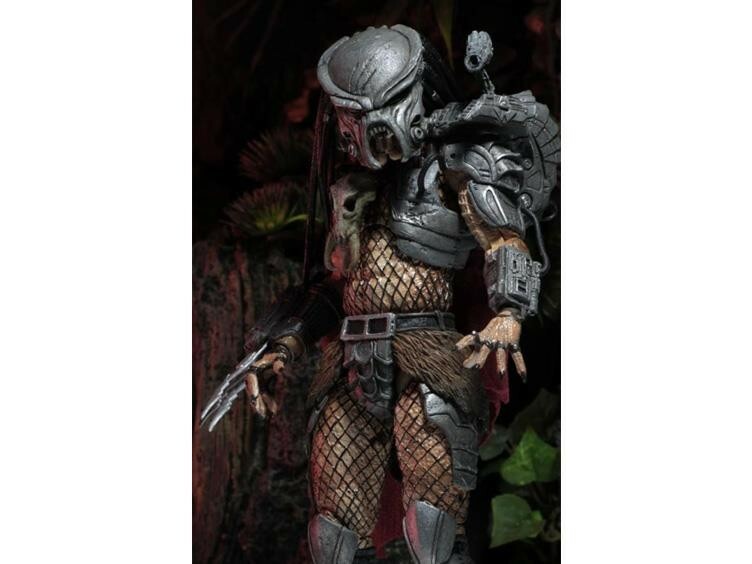 The figure also features new loin armor and skirt, new right gauntlet, new knee armor, fabric cape and all new deco. He's equipped with brand new accessories too, including an Engineer Gun, Spear, Gauntlet with both 2- and 3-blade configurations, Engineer skull trophy, alternate hands, and more!